The start of a New Year is the perfect opportunity for do-overs and try-betters. Let’s begin 2019 with an open mind — ready and willing to chart new milestones as we make our health and wellness a priority. 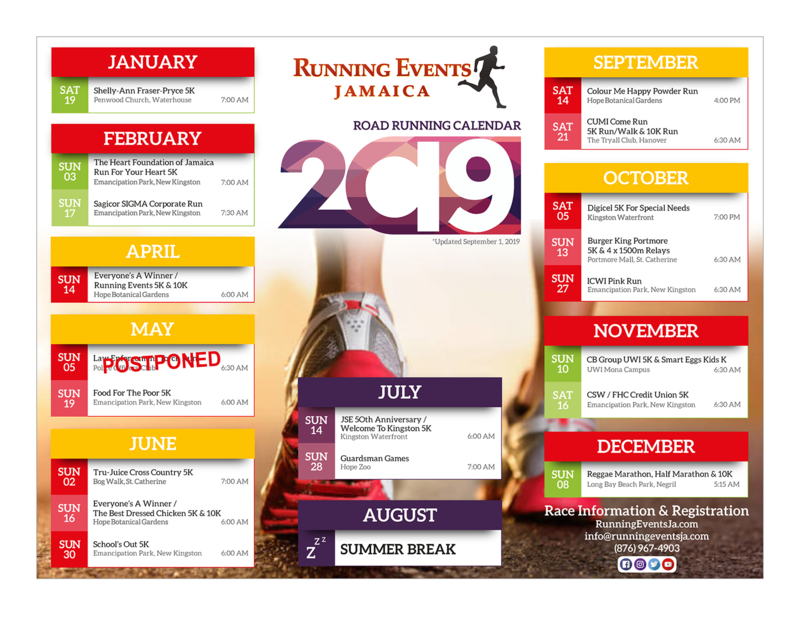 To help you become the best version of yourself, we will offer 18 blood-pumping road running events over the next 12 months. Use these events to set your goals big and small. Go ahead. Take a look at our calendar. Set your goals and let’s make them happen together. Additional races will be added to this calendar once they are confirmed. We will make announcements online, via social media and our e-newsletters when events are added and registration opens.